How long does it take to fully charge the Matrice 200 Series V2 TB55 Intelligent Flight Batteries? When charging the batteries with the Inspire 2 Battery Charging Hub, it takes about 2 hours and 24 minutes to fully charge two TB55 Intelligent Flight Batteries. How to maintain the TB55 Intelligent Flight Batteries? 1. Before using, please pair two TB55 Intelligent Flight Batteries together and give them matching marks. This is to ensure the best battery performance, by making sure the two batteries are charged and discharged together. 2. The TB55 intelligent Flight Batteries' ideal storage temperature range is 22°C to 30 °C. Please store the batteries in a waterproof and moisture proof container. 3. If the batteries have been idle for more than ten days, discharge the battery level to between 40% to 65% and recharge the battery every three months to maintain the battery's activity. Can I use the TB55 Intelligent Flight Batteries in low temperatures? The TB55 Intelligent Battery's operating temperature range is -20°C to 50°C. Please plan your flights in advance when flying in low temperatures as the battery life will be reduced. To optimize the battery's performance, keep the battery's temperature over 15°C before flights. Can I carry the TB55 Intelligent Flight Batteries on a commercial airplane? No, the TB55 Intelligent Flight Batteries' capacity is 174.6Wh which exceeds the allotted size for many airlines. What is the maximum takeoff weight of the Matrice 200 Series V2 drones? What are the maximum payload weights of Matrice 200 Series V2 drones? Matrice 200 V2: 1.45kg; Matrice 210 V2: 1.34kg; Matrice 210 RTK V2: 1.23kg. How long does it take to fully charge the Matrice 200 Series V2 remote controller's battery? It takes about 2 hours and 24 minutes to fully charge a WB37 Intelligent Battery when charging it in the remote controller, and about 1 hour and 11 minutes charging it in the WCH2 Charging Hub. How long can a Matrice 200 Series V2 remote controller work when it is used with fully charged WB37 Intelligent Battery? It can operate for up to four hours if the remote controller is not charging a display device. Is the Matrice 200 Series remote controller compatible with the Matrice 200 Series V2? How to distinguish the Matrice 200 Series V2 remote controller from the Cendence remote controller? There is a silver ring marked on the Matrice 200 Series V2 remote controller display's mounting bracket, and there is a USB port on the back of the bracket. What is the Matrice 200 Series V2 remote controller's operating temperature? What image output ports does the Matrice 200 Series V2 remote controller have? USB, SDI and HDMI output ports. What image transmission technology does the Matrice 200 Series V2 use? What is the Matrice 200 Series V2 maximum image transmission range? The maximum distance is related to the region's radio standards. The common standards and corresponding image transmission ranges are as follows: FCC: 8km; CE/MIC: 5km; SRRC: 5km. What is the Matrice 200 Series V2 FPV camera's resolution? What cameras are compatible with the Matrice 200 Series V2 drones? What cameras are compatible with the Matrice 210 V2/Matrice 210 RTK V2's dual downward gimbals? No.1 gimbal mounting position: Zenmuse X4S/X5S/X7/XT/XT2/Z30. No.2 gimbal mounting position: Zenmuse XT/Z30. Can the Matrice 210 V2/Matrice 210 RTK V2's dual gimbals be controlled simultaneously? Yes, the dual gimbals' angel, cameras' image and video shooting functions can be controlled simultaneously. What cameras are compatible with the Matrice 210 V2/Matrice 210 RTK V2's upward gimbal? When the Matrice 210 V2/Matrice 210 RTK V2 upward and downward gimbals are both mounted with a camera, can the two gimbals be controlled simultaneously? No, the two gimbals cannot be controlled simultaneously. Can I control the FPV camera's tilting angle with the remote controller? No, the FPV camera's tilting angle cannot be controlled with the remote controller. When using the Matrice 200 Series V2 aircraft with a Zenmuse X7, what image formats are supported? How to distinguish the Matrice 200 Series V2 aircraft from the Matrice 200 Series aircraft? There are newly added beacons on the Matrice 200 Series V2 aircraft's upper shell and the bottom of the battery compartment. The frame arm indicator cover is an omnidirectional lens. And the mark at the rear of the battery compartment indicates the model is V2. Can I replace the Matrice 210 V2/Matrice 210 RTK V2's lower dual gimbal's mounting bracket with a single downward gimbal mounting bracket? What is the Matrice 200 Series V2 aircraft's hovering accuracy? When the Matrice 200 V2/Matrice 210 V2 is in P-mode with GPS, the vertical hovering accuracy is ±0.5m (±0.1m if the Downward Vision System is enabled), and the horizontal hovering accuracy is ±1.5m (±0.3m if the Downward Vision System is enabled). When the Matrice 210 RTK V2 operates normally, the vertical and horizontal hovering accuracy is ±0.1m. What is the Matrice 200 Series V2 aircraft's Ingress Protection rating? Does the Matrice 200 Series V2 come with a Micro SD card? Yes, there is 64G Micro SD card included in the box. How to update the firmware of Matrice 200 Series V2? You can connect the Matrice 200 Series V2 aircraft to a PC, then update the firmware via DJI Assistant 2 for Matrice, or you can connect the remote controller with a mobile device to update the firmware. What apps and software can be used with the Matrice 200 Series V2? The Matrice 200 Series V2 uses the DJI Pilot app. In future, the Matrice 200 Series V2 will also support GS Pro app. Do I need to use other devices with the Matrice 210 RTK V2 to enable the RTK function? Yes, you need to use DJI D-RTK 2 High Precision GNSS Mobile Station for Matrice. Does the Matrice 210 RTK V2 support PPK technology? How does the Matrice 210 RTK V2 obtain differential data? 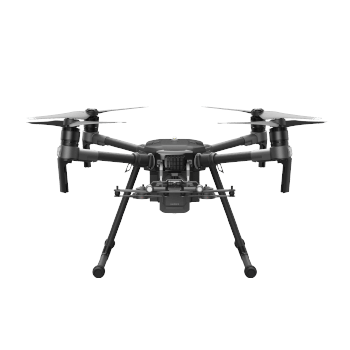 The Matrice 210 RTK V2 can obtain real-time differential data via the DJI D-RTK 2 High Precision GNSS Mobile Station for Matrice. What is the DJI D-RTK 2 High Precision GNSS Mobile Station's Ingress Protection rating? Does the Matrice 200 V2 series have SDK functions? The Matrice 210 V2/Matrice 210 RTK V2 supports OSDK, PSDK, and MSDK. The Matrice 200 V2 supports PSDK and MSDK. How to get technical help for the SDK?